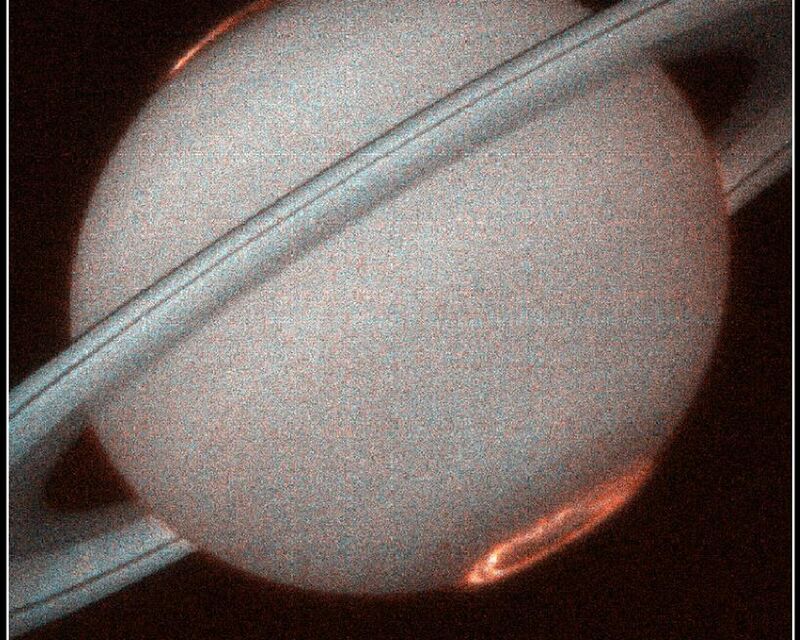 Saturn's auroral displays are caused by an energetic wind from the Sun that sweeps over the planet, much like the Earths aurora that is occasionally seen in the nighttime sky and similar to the phenomenon that causes fluorescent lamps to glow. But unlike the Earth, Saturn's aurora is only seen in ultraviolet light that is invisible from the Earths surface, hence the aurora can only be observed from space. New Hubble images reveal ripples and overall patterns that evolve slowly, appearing generally fixed in our view and independent of planet rotation. At the same time, the curtains show local brightening that often follow the rotation of the planet and exhibit rapid variations on time scales of minutes. These variations and regularities indicate that the aurora is primarily shaped and powered by a continual tug-of-war between Saturn's magnetic field and the flow of charged particles from the Sun. Study of the aurora on Saturn had its beginnings just seventeen years ago. 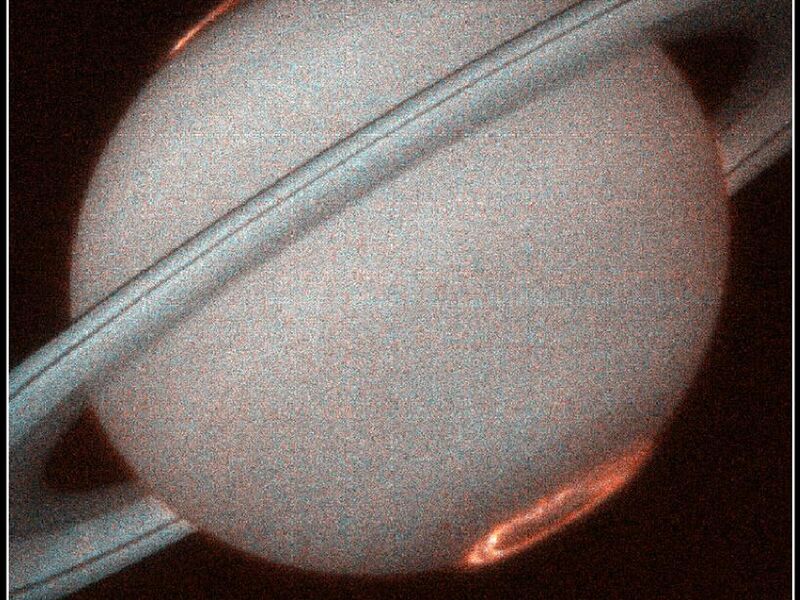 The Pioneer 11 spacecraft observed a far-ultraviolet brightening on Saturn's poles in 1979. The Saturn flybys of the Voyager 1 and 2 spacecraft in the early 1980s provided a basic description of the aurora and mapped for the first time planets enormous magnetic field that guides energetic electrons into the atmosphere near the north and south poles. 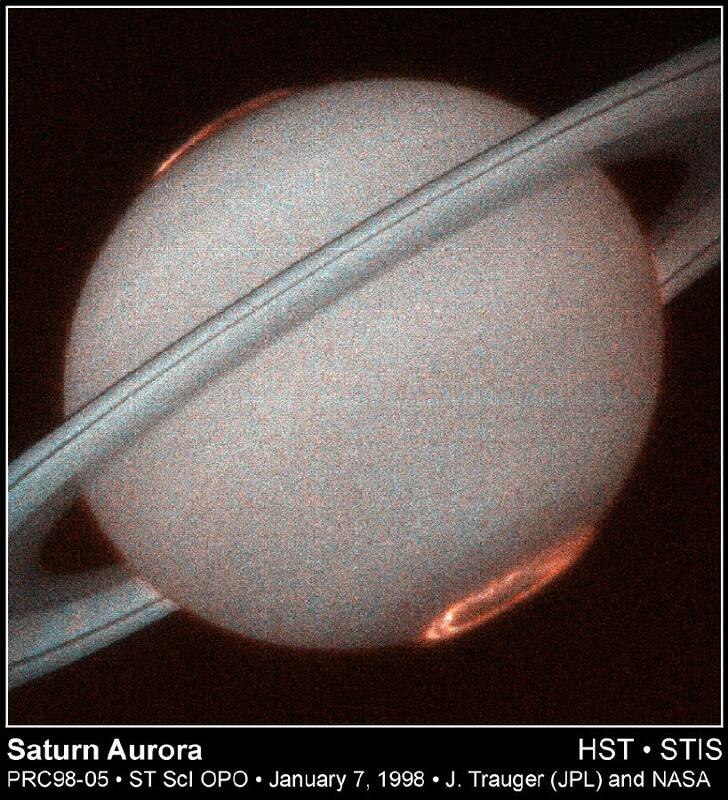 The first images of Saturn's aurora were provided in 1994-5 by the Hubble Space Telescopes Wide Field and Planetary Camera (WFPC2). 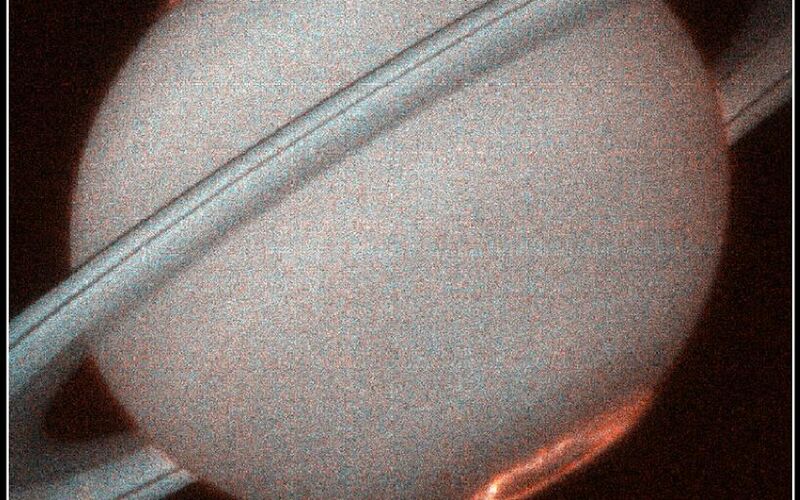 Much greater ultraviolet sensitivity of the new STIS instrument allows the workings of Saturn's magnetosphere and upper atmosphere to be studied in much greater detail. These Hubble aurora investigations provide a framework that will ultimately complement the in situ measurements of Saturn's magnetic field and charged particles by NASA/ ESA's Cassini spacecraft, now en route to its rendezvous with Saturn early in the next decade.